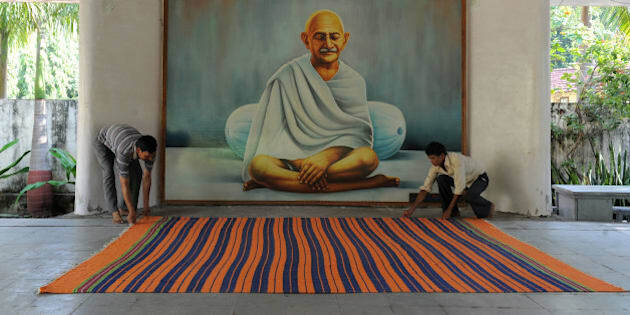 (AHMEDABAD, India-AFP) - Tourists searching for peace and simplicity can for the first time check in to Mahatma Gandhi's most famous ashram in India. But don't expect modern comforts. And chastity is required. For 1,000 rupees ($16) a night, tourists can sample the lifestyle of India's famously ascetic independence leader by staying at the first ashram he established, set up in 1915 in the western state of Gujarat. Khadi also became a symbol of how then India should base its economy -- on village-based craft instead of industrially-produced cotton often imported from mills in Britain.